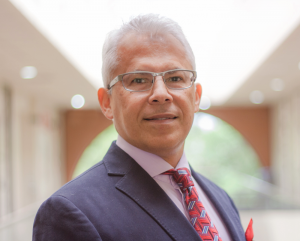 HomeTeamDallas/Fort Worth MetroplexAlberto Yáñez-Moreno, Ph.D.
Alberto has over 39 of experience and more than 25 years of experience in Continuous Improvement of manufacturing and service / transactional processes. His expertise is primarily in training, implementation of Lean Six Sigma, coaching to Green Belt / Black Belt or management and leading Continuous Improvement Kaizen Events. Alberto is one of the main instructors for Lean Six Sigma (LSS) at The University of Texas at Arlington. He is the lead instructor in various classes, provides coaching for newly trained individuals, and works closely with customers in implementing their LSS Program. Alberto has been asked to lead and facilitate multiple continuous improvement projects on behalf of the customer. Alberto is a consultant and practitioner in the field of Lean Six Sigma. He has worked for the aerospace and automotive industries, health care industry, cities, food & beverage, logistics, insurance, chemical plants, oil companies, the maquila industry (factories along the Mexican border), steel and paper mills, and discrete and continuous manufacturing processes ranging from small to large corporations. Alberto’s experience not only encompasses manufacturing processes but also business (white collar) process improvements, which in many cases, can provide the biggest benefit to a company. Alberto possesses strong technical skills, but his biggest asset is the deployment of these concepts to manufacturing or business processes. Alberto has taught over 66 LSS classes including: Black, Green and Yellow Belt, Sponsor Workshops and Design for Lean Six Sigma. He has also provided coaching to hundreds of individuals on their projects in support of their certification as LSS Black Belts or Green Belts. Alberto helped pioneer TMAC’s onsite training model which includes a pre-class orientation session followed by 1-on-1 project coaching with incoming students. Alberto received his Doctorate and Master degrees in Mechanical Engineering from the University of Minnesota and his Bachelor of Science degree in Mechanical Engineering from Ibero-America University in Mexico. Alberto has full command of Spanish. Alberto is also SME Lean Bronze certified and Black Belt certified from Textron. He is also a certified Master Black Belt. Alberto has QA / ISO9000 Lead Assessor training, Professional training from North Dakota State University and has been a visiting Researcher in the Petroleum Engineering Department at Stanford University. Alberto was presented at the Annual Lean Six Sigma World Conference from 2011 through 2016. He presented at the Lean Six Sigma Conference in Curitiba, Brazil in 2012 and 2013. He also periodically presented for the at the ASQ Dallas, Fort Worth and Houston Chapters from 2004 through 2015. Prior to joining TMAC, Alberto worked for over seven years at Bell Helicopter in the roles of Continuous Improvement Master, Black Belt and Project Specialist. As a Black Belt, he completed 14 projects with annual savings of $2.8 million and mentored through certification numerous Green and Black Belts. Alberto has been the lead instructor of 20 Green Belt courses, including Lean, DMAIC and DFSS. Alberto has also taught Black Belt training and has led numerous Kaizen Events. At Planergy, Alberto was the Vice President of International Engineering. His role was to market and implement energy saving shared programs for the automotive industry. Planergy conducted energy assessments, estimate required investment, then finance and implement the projects. They shared the energy savings by means of a pro-forma contract. While at the George Group, Alberto worked as a consultant leading the transformation of a company with Lean projects, focusing in inventory control, defect and cycle time reductions. A typical engagement would include training at all levels and improvements to manufacturing and business processes.